It’s said that there are two kinds of people; those that have thousands of emails in their inbox, and are reading and deleting nothing, and those that have nothing in their inbox, and who are likely reading nothing and deleting everything. 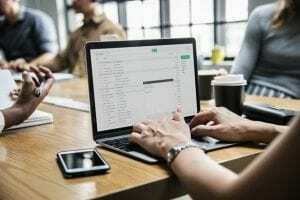 There has to be a middle ground; an email strategy that allows you to read what is important, organize your inbox, and avoid wasting time with junk, clutter, and missed messages. Let’s take a look at a few different ways you can live with a clean inbox. Did you know there are apps that will essentially clean your inbox for you? Unroll.me is one such app. There are others. You give this app permission to access your email account. You then go through each subscription and decide whether you want to unsubscribe, roll up, or keep. The app then unsubscribes you from everything you choose (saving you hours of time). It then sends you a daily update of all of the emails that you’ve “rolled up,” and the ones that you feel are important and want to see show up in your inbox. And the app is free. Most email services support labeling and categorizing your email messages. With this email strategy, you essentially give every message a place to live by labeling it and putting it in a folder. Once you label something, say from a client, every message they send to you will be automatically labeled. You can even have messages skip your inbox and go directly to their designated folder. Of course, this means that you have to open that folder on a regular basis and read the messages. Why not ask someone else to manage your email for you? Hire an assistant to respond to messages. They can forward anything that only you can handle so that you don’t miss the key stuff. This email strategy leaves you with tons of time to focus on other important tasks. You can also ask this assistant to unsubscribe you from all of the junk you receive to help lighten the email load. Get a new email address and don’t subscribe to anything with this email address. Only give it to people you actually need to communicate with. You can then, weekly, check your other email address, scan it for anything important, and delete everything else. Or you can hire someone to manage that email address for you. A clean email inbox and a solid email strategy will save you time, energy, and stress. There are a number of ways you can clean out that inbox and move forward clutter free.